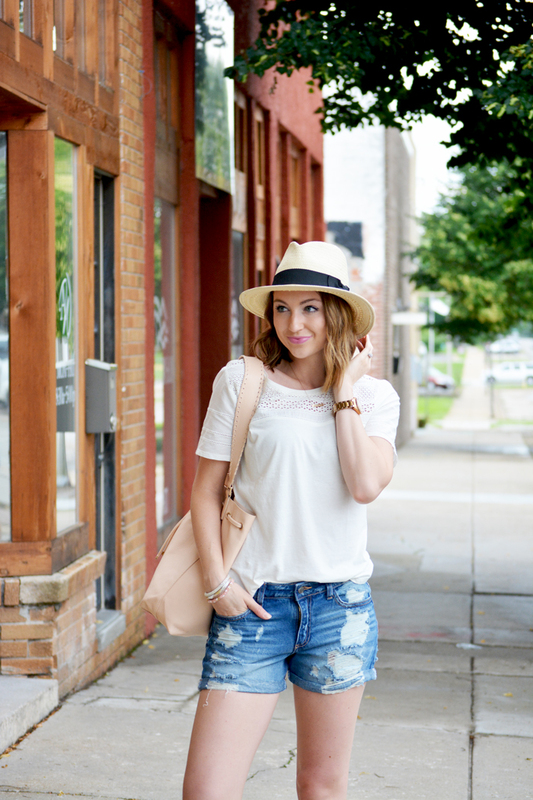 Remember how I was talking about how much I love tops with detail in my summer trends post last week? This LOFT tee is the perfect example! I love the feminine eyelet details and that they give this top a slightly dressier feel, so I can easily wear it to the office as well. I know I sound like a broken record, but a girl's gotta get her money's worth!